Undergraduate research enhances the educational experience of ESU students in all disciplines. Involvement in undergraduate research, scholarship, and creative activity (URSCA) is a high-impact educational practice with numerous benefits for students, including increased retention, graduation, and graduate school enrollment rates; improved critical thinking, creativity, and problem-solving skills; intellectual independence and confidence; and enhanced understanding of research methodologies and practices within a given discipline. ESU is actively facilitating a more robust experience for the undergraduate students on our campus. Whether it’s crafting literature reviews or studying DNA with science professors, research experiences provide our students with lifelong knowledge that helps shape their personal career pathway. Mentored by professors who truly care, undergraduate students at ESU are inspired to make a difference in their communities through high-impact learning experiences. Watch this WNEP news story to see how our undergraduates, some of whom are also Clear Path scholars, are performing research for the Delaware River Watershed Initiative: ESU Student Research Helps Ensure Clean Drinking Water. ESU's Council of Undergraduate Research (CUR): This faculty committee exists to support and promote high-quality undergraduate student-faculty collaborative research, scholarship, and creative activity. ESU Summer Undergraduate Research Experience (SURE): The Office of the Provost in collaboration with the Office of Sponsored Projects and Research has recently launched an undergraduate research award program and will be accepting applications from faculty researchers who wish to include undergraduates in their summer projects. Read the guidelines for the full program description. ESU's Student Activity Association (SAA): The SAA offers several sponsorship opportunities to support students striving to gain experience in research, at professional conferences, and within their respective departments. Annual Student Research and Creative Activity Symposium: This event offers both undergraduate and graduate students the opportunity to display the results of their research and creative activity. Students can give oral presentations, participate in poster sessions, present original artwork, or give a performance in dance, music, or theater. Research Experiences for Undergraduates: The National Science Foundation funds a large number of research opportunities for undergraduate students through its REU Sites program. An REU Site consists of a group of ten or so undergraduates who work in the research programs of the host institution. Each student is associated with a specific research project, where he/she works closely with the faculty and other researchers. Students are granted stipends and, in many cases, assistance with housing and travel. TheURC-PA poster Conference is an educational event allowing the undergraduate students enrolled in Pennsylvania’s colleges and universities to showcase their research talents to the Commonwealth’s key decision-makers. All fields of research are encouraged. As a participant, you will spend the day in the Pennsylvania Capitol Building, share experiences and ideas with your counterparts from other schools, and enlighten your state legislators on the topics that are important to you and our society. When possible, a visit to either the Senate or House Chamber is part of the day’s events. The CUR 2018 Posters on the Hill, Washington DC: The Council on Undergraduate Research accepted submissions for the 22nd annual Poster on the Hill event in Washington, D.C from September 6, 2017 to November 1, 2017. This is a competitive event, giving students the opportunity to showcase their research to congressional members, meet with their representatives, and learn about advocacy for undergraduate research. 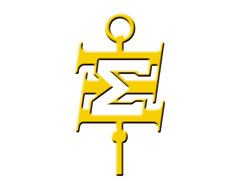 Sigma Xi Grants in Aid of Research: The Scientific Research Honor Society Sigma Xi wards grants of up to $1,000 to students from all areas of the sciences and engineering. Students use the funding to pay for travel expenses to and from a research site, or for purchase of non-standard laboratory equipment necessary to complete a specific research project. The Pennsylvania Academy of Science has funds available to support undergraduate student research in the natural, physical, or social sciences. Grants are typically for $500 or less. ESU students also present their research at various local, national and international conferences, and some students' projects are published in scholarly journals. To inquire about specific research opportunities, please contact the chair of the specific department.